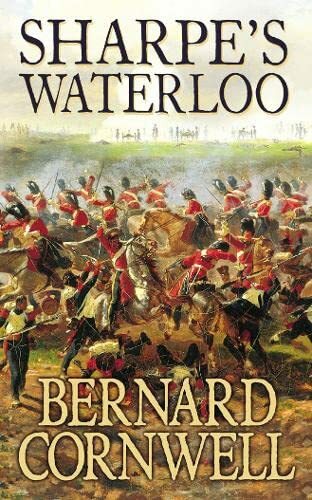 Richard Sharpe and the Waterloo Campaign, 15 June to 18 June 1815. Richard Sharpe and the Waterloo Campaign, 15 June to 18 June 1815. It is 1815. Sharpe is serving on the personal staff of the Prince of Orange, who refuses to listen to Sharpe,s reports of an enormous army, led by Napoleon, marching towards them. The Battle of Waterloo commences and it seems as if Sharpe must stand by and watch the grandest scale of military folly. But at the height of battle, as victory seems impossible, Sharpe takes command and the most hard-fought and bloody battle of his career becomes his most magnificent triumph. Soldier, hero, rogue - Sharpe is the man you always want on your side. Born in poverty, he joined the army to escape jail and climbed the ranks by sheer brutal courage. He knows no other family than the regiment of the 95th Rifles whose green jacket he proudly wears.